All Smiles wants to make your visit to our office as convenient and comfortable as possible. 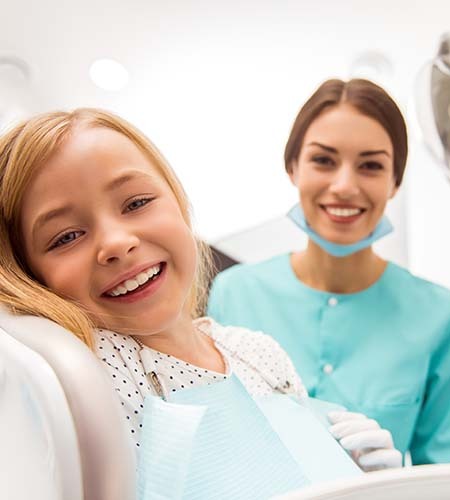 It is our goal to provide quality family dental care for each one our patients and their loved ones. For new patients, please click the link below to access our New Patient Form. Completing this form ahead of your first appointment will allow us to better understand your dental health history and overall health history to ensure we are best prepared to address your needs on your first visit to our Lake Jackson office. It will also save you time in our waiting room! For your convenience, All Smiles also offers our patients the opportunity to request an appointment online. Simply click the link below and fill out the form to request your appointment with our skilled dentists. We accept cash, checks, money orders and all major credit cards as payment for services when rendered. For major procedures, we also offer our patients several convenient financing options to ensure that you can receive the dental care you need when you need it. To learn more, visit our Finance page.